Upon arrival in Bucharest, you are transferred to our hotel. Tonight we will have an orientation meeting followed by dinner. We begin our morning with a guided city tour of Bucharest, seeing the historical downtown and the Parliament Building, which was designed and nearly completed by the Ceausescu Regime as the seat of political and administrative power in Romania. Constructing the Palace required demolishing much of Bucharest's historic district, including 19 Orthodox Christian churches, six Jewish synagogues, three Protestant churches (plus eight relocated churches), and 30,000 residences. This is the world's second largest building after the Pentagon. 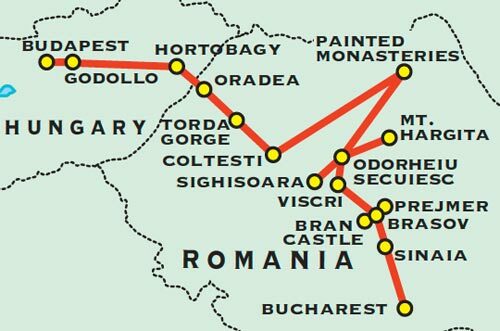 Departing Bucharest, we begin our journey to Brasov, crossing the Carpathian Mountains. This is our point of entry into Transylvania, the land of Magyar, Saxon, Secler, Romanian and Moc Peoples. Enroute, we stop in Sinaia, named after Mount Sinai in Egypt. It is a mountainside town with winding streets and colorful houses. We visit Peles Castle, a former royal residence. Built between 1875 and 1883, the castle contains many architectural styles, 160 rooms, and beautiful terraces. We also stop at Sinaia Monastery. 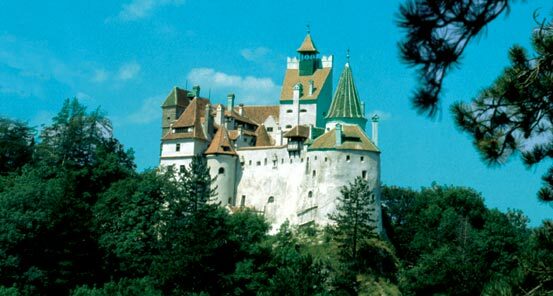 After lunch we drive to Bran Castle, one of the most famous castles in Europe, and the setting of the famous Bram Stoker novel. Falsely attributed as a residence of Vlad Tepes and the Dracula myth, it is still a very impressive castle even if it isn't connected with infamy! The castle was built in 1378 atop a cliff that served as a customs checkpoint and as a strategic point for protecting the pass. Its narrow stone stairways, the comfortable rooms and furnishings, give one a first-hand look at the life of nobles that ruled the region in the 15th and 16th centuries. This morning we explore the downtown core of Brasov, one of the seven main Saxon cities. It has a well-preserved downtown square that is surrounded by beautiful buildings. (It is reminiscent of squares found in Prague.) We visit the Black Church, named so by a fire that blackened its walls. Erected in 1476, the Gothic cathedral has a 250-foot high tower and an organ with 4000 pipes. We also visit the first Romanian school with amazing old Slavic manuscripts. After lunch, we visit the fortress of Risnov with its stunning panorama of the surrounding area. This enormous citadel was built around the year 1215 by the Teutonic Knights and was conquered only once in its history. The citadel is most famous for a well (470 feet/143 meters deep) that was dug by Turkish prisoners of war during a siege and which sits today in the center of the fortress. This morning we explore Prejmar, a former Saxon fortified church in a town outside Brasov. This church is exquisite in design and contrast, featuring thick walls with internal passages that were used to defend its inhabitants from attack. We continue through coniferous forests and steep rocky peaks to inner Transylvania. Our first stop will be the village of Viscri (UNESCO), with one of the most impressive of all the Saxon citadels. 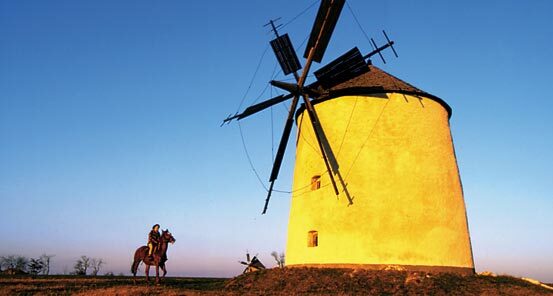 From the tower, there is a view of the idyllic countryside and of the village, a classic Saxon Strassendorf, with a row of houses on either side of a single street and a brook running down the center. Hear about the history of the village from one of the last Saxon inhabitants as we learn about the traditions, culture and folklore of the local people. Enjoy a typical Saxon lunch with a local family and take a glimpse at the house of Prince Charles, who has Transylvanian origins and recently purchased a house here. Today we will visit more Saxon heritage sites. Our first stop is the UNESCO World Heritage Site of Biertan. The Saxons built this fortified church, which houses a magnificent altar made up of 28 panels, in the 15th century. 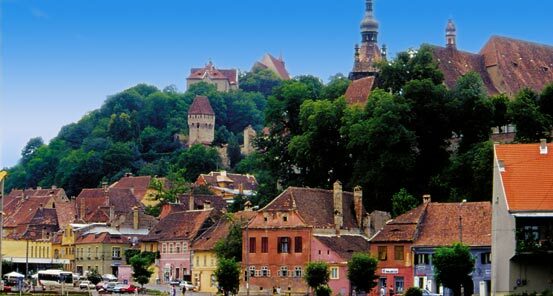 After lunch we drive to Sighisoara (Shassburg) the best-preserved medieval/fortified Saxon town in Europe. Walk up to Citadel Hill along narrow winding streets crowned with a 200-foot clock tower that watches over the main gate. This 14th-century building contains old documents, weapons, coins and glass icons. Atop Citadel Hill, there is a Gothic cathedral with strange stone sculptures on the buttresses. You can also visit the house where Vlad Tepes "Dracula" was born. It is now a pub! This morning we drive up to Mt. Hargita, the sacred peak of the local Seclers, via the scenic Ivo-stream Valley. There we have an hour-long hike to the very peak, where we can enjoy the landscape of central Transylvania with long-range views of the Carpathians. Enroute we stop in a small village, famous for its dozens of "Secler-gates", whose beauty adorns the streets. These gates were a sign of hospitability and showcased the skill of local woodworkers. Many of these gates are more than one hundred years old and are deemed to be national monuments. After lunch, we continue on to the remote village of Enlaka, a traditional Unitarian village and a potential UNESCO World Heritage Site. Here the ancient traditions and architecture of the local people are preserved. After sightseeing and dinner in a local barn, and a sample of the famous local plum brandy "Palinka", we return to Odorheiu. We begin our day with a visit to see the work of traditional charcoal makers at Kalonda Pass. We have an opportunity to do some shopping in the village of Korond, whose inhabitants are famous for their handicrafts and more than 5000 families make their livelihood from producing ceramics and wooden crafts. Afterwards, we continue with a visit to the Salt Mine at Praid. Traveling by bus, we descend down into the mine far below the surface. Today the salt mine is a sanatorium for children who suffer from asthma. They come here to live and sleep for several weeks while they receive care for their condition. This virtual underground city is complete with a hospital and underground church. In the afternoon we continue on to Voronet, our base to explore the famous Painted Monasteries of Bucovina. Our journey today has us crossing the Bucsin-Pass of the Eastern Carpathians. Enroute we will pass through the narrow Bicaz Gorge, with its hundred meter high walls, and Lacu Rosu (Lake of Murder), with its unique landscape and which is oftentimes referred to as the "Switzerland of Transylvania". Above the lake is the Tunder (Fairy)-Rock, which offers stunning views of the area. We will finish the day in Gura Humorului, the center of Bucovina. 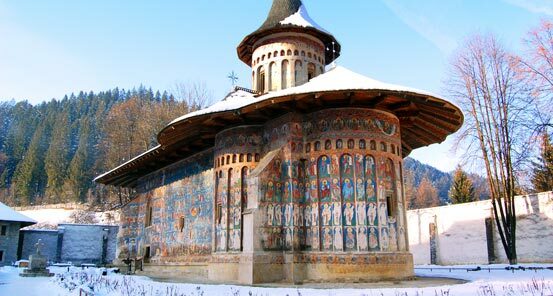 Among the most picturesque treasures of Romania are the Painted Monasteries of Bucovina. Their painted exterior walls are decorated with elaborate 15th and 16th century frescoes featuring portraits of saints and prophets, scenes from the life of Jesus, images of angels and demons, and heaven and hell. Deemed masterpieces of Byzantine art, these churches are one-of-a-kind architectural sites in Europe. Far from being merely wall decorations, the murals represent complete cycles of religious doctrine. The purpose of the frescoes was to make the story of the Bible and the lives of the most important Orthodox saints known to villagers by the use of images. Their outstanding composition, elegant outline and harmonious colors blend perfectly with the surrounding landscape. Some of Romanias most beautiful countryside is to be found in Bucovina, whose rolling green hills nestle villages and monasteries within their valleys. Horses, decked with red-tasseled bridles, travel country lanes, as villagers crowd churchyards in traditional folk dress on Sundays and holidays. Seven of the churches were placed on UNESCO World Heritage list in 1993. The eighth, Sucevita, is awaiting sanction to be added to the list. We have dedicated two days to explore the most stunning examples of painted churches in this area. Today we have a long day of driving to reach Torockoszentgyorgy (Coltesti), secluded behind the magnificent rock of the eastern Apuseni Mountains, which borders the western side of Transylvania. Our journey will take us through beautiful mountain scenery as we cross the Eastern Carpathian arch and through central Transylvania, passing the Borgo and Mestecanis Passes. We continue our journey through a series of significant towns that were once an important part of medieval Transylvania. We arrive Torockoszetgyorgy in the late afternoon. The whole morning is free to enjoy the beautiful setting of our lovely hotel. Enjoy a stroll through the village, a walk in the nearby meadows or enjoy a coffee with a nice book in the terrace. The choice is yours! We continue on to the village of Rimetea, one of the most magnificent settings of Western Romania for lunch, where we also visit an ethnographical museum which is known for its traditional life of the local people, including their unique costumes and the ore-mining history of the village. The village is dominated by Secler Rock which is a sacred peak of the local people. After a short drive, we hike the Torda Gorge, one of the largest in Romania, which contains hundreds of endemic plants and insects. According to one legend, the sword of St. Ladislaus, a legendary Hungarian King of the 13th century who escaped the Mongolian Tatar hordes, forged the canyon. We will see the giant nests of golden eagles and with luck, we might see them soaring overhead. This morning, we explore the 13th century castle ruins which overlooks our village, Torockoszentgyorgy. Our hike takes us through the gorgeous rural countryside. The view from the abandoned castle is simply breathtaking. After lunch, we drive to a traditional Moc village surrounded by large mountains. The Mocs are an ancient ethnic group who live a secluded life deep in the mountains, many without electricity or running water. The Moc people speak Romanian and many of the houses have conical, thatched roofs. We also visit a beautiful wooden carved orthodox monastery, built in a Maramures-style, a renowned highlight of this remote region in Romania. After our morning at leisure, we make our way to the Hungarian border. Enroute we visit a Calvinistic church of the Magyar Sincrau (Kalotaszentkiraly) village. This is one of the foremost, original ethnic villages of Western Transylvania, famous for its folk and native culture. Enjoy the hospitality of the locals with their traditional costumes, very special local dishes, as well as the opportunity to shop for some local handmade painted pitchers, woodcarvings and embroideries. We cross the Bucea Pass, our exit point of Transylvania, as we descend to Oradea (Nagyvarad) to visit one of the most gorgeous Baroque churches in all of Central Europe, and the burial place of the sacred Hungarian King, St. Ladislaus. After breakfast, we travel into the Pusta area to see its unique endemic breeds of animals. The Pusta is a wide-open flat area with unique vegetation. In terms of flora, the Pusta is Asiatic and is known as a small piece of Asia inside Europe. Hortobagy National Park is a World Heritage Site that preserves the unique natural and cultural treasures of this remote part of Europe. We will see the special curly-haired and "cholesterol-free" mangalica pigs, strange spiral-horned sheep, the enormous Hungarian gray cattle, water buffalo and many special house fowls and pigeons. We travel by cart into the open plains, where we will be introduced to the life of the local herdsmen and horse riders, as we visit several herds of semi-wild kept animals. After lunch, we continue to travel westward to see the former royal palace of Godollo. Godollo was a palace of Emperor Franz Joseph, King Charles IV (the last Hungarian King), and Nicholaus Horthy, Regent of Hungary between the two World Wars. Partially restored over the last two years, the building and garden provide a glimpse into the Austro-Hungarian Empire's regal past, highlighting the life of the famous Sissi, wife of Emperor Franz Joseph. After our visit, we continue on to Budapest. The broad Danube River runs through the middle of this stunning metropolis, dividing hilly Buda from the Pest plain, with nine beautiful old bridges and romantic islands. Although Budapest was first populated 50,000 years ago, its current name dates just over 140 years old and came into existence when Old Buda, Buda and Pest all united in 1873. It boasts 80 thermal springs which supply 12 spa baths, 237 historical monuments, 23 museums and galleries, 40 theaters, and seven concert halls. 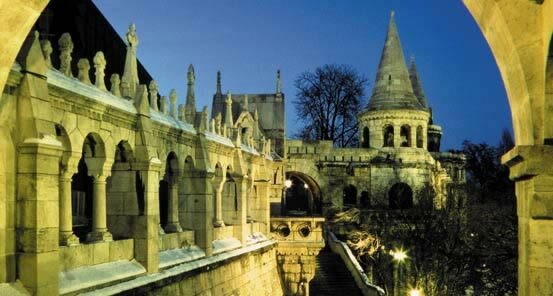 Today we explore the hilly Buda side, with a guided walking tour through the Castle District. We have the opportunity to see the Royal Palace and National Gallery, followed by a visit to the Matthias Church which has a magnificent view of the beautiful bridges just below. After lunch, we visit the unique Statue Park, which was set up after the 1989 revolution, and where the governments collected all the communist statues that determined the landscape of cold-war Budapest. Following dinner we will enjoy an unforgettable city view with a drive up to the Citadel Hill (aka Geller Hill) to see Budapest illuminated at night. Today, we begin our exploration of the Pest side on foot and by bus. First, we drive to Heroes' Square to see its grand statues, museums and the lovely park, where we stop and learn about Hungarian history. We drive along Andrassy Street (a World Heritage Site), and see its most important buildings, including the famous Opera House. We then visit the Basilica, the greatest of the Hungarian churches. After lunch we have a guided tour in the Parliament Building, which is ranked as one of the most beautiful in the world. With 691 rooms this neo-Gothic palace stretches 880 feet (268 meters) along the embankment of the Danube River. In the afternoon, we have the choice of an optional visit to the nearby synagogue, which is the 2nd largest in the world and the largest of the continent; or you also can opt for enjoying a stroll (and shopping) in the covered Market Hall area, the largest of Budapest. 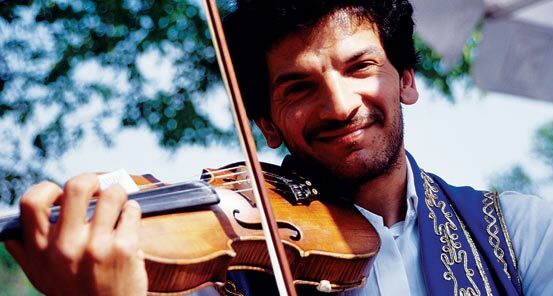 At the end of the day we will have our dinner in one of the oldest and most renowned restaurants of Budapest (Matyas Cellar), where we will enjoy live gypsy music and traditional folk dancing with the famous Csardas. Today, we travel north from Budapest to the very center of the Danube Bend, visiting the Royal Palace of Visegrad City. Completed in 1330, Visegrad was the largest building ensembled in medieval Hungary and was declared as the capital in the 14th century. "From Visegrad, from an earthly paradise" - thus wrote an ambassador of the Pope, guest of King Matthias (1458-1490), and a person well used to glitter and pomp. We travel to the Serbian city of Szentendre to explore this legendary old museum town. With its winding streets, church towers and colorful houses, Szentendre is probably the Danube Bend's most visited tourist center and is a fascinating place to explore. Today we continue exploring the surrounding areas of Budapest. We begin with the Church of St George the Martyr, a former Benedictine Abbey, located in the village of Zsambek, which is one of the oldest monuments of Hungary, and which survived both the Mongolian invasion and the Turkish occupation. Later we have a guided tour through the arboretum of Alcsut in Danube-Ipoly National Park, where we will see many of the 540 different tree and bush species on display in the park. We will learn more about the special history of the park and its origin as the garden of a former aristocratic palace. We enjoy a lovely lunch beside a little lake, before continuing on to our guided tour of the Kamandul Hermitage Site of Majk, which is an extraordinary assemblage of buildings. The Kamandul Order was established in 1009 in Italy, and the monks were allowed to speak to each other only twice a year. They lived at this peaceful spot from 1733-1770, until it was converted into a hunting lodge for the famous Esterhazy family. Later we stop at Lovasbereny Castle, a ruined and half-abandoned mansion of a local aristocratic family who shared a fate similar to other such properties during the Communist-era. Before our return to Budapest, we enjoy a great panoramic view over the second largest lake of the country, Lake Velence. Tonight we will enjoy our farewell dinner. Our adventure in Eastern Europe concludes today as we depart for Budapest Airport to board our international flights home.